The normal Indian inhabitant is traveling abroad either on a vacation or on business trips. During his stay there, he is staying in high-end hotels and resorts, sleeping in stylishly designed beds in palatial suites and bathing in creatively designed bathrooms. After enjoying such experiences on his visits, he comes back and wishes to replicate the same things in his own home. Thus, he decides to make the bathroom glamorous and equip it with the latest fittings and fixtures. This has become truer now than ever before. Disposable incomes are increasing; customers are asking for high-end luxury apartments and obtaining loans for buying the same. All this is fueling a need for stylishly designed glamorous bathrooms with stunning vanity and bathtub. 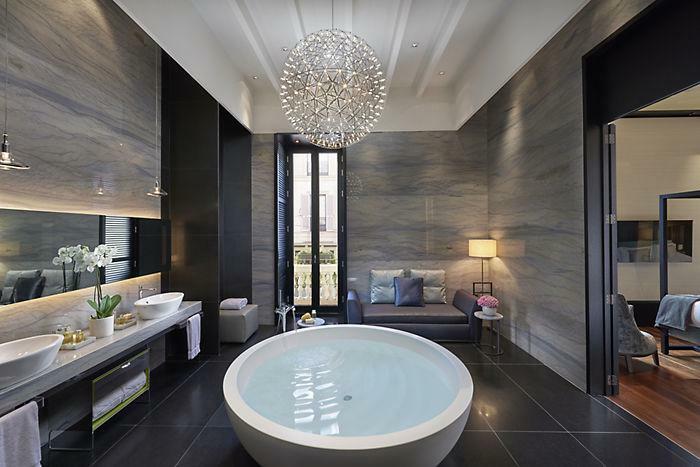 Builders who construct and market high-end, luxury apartments are providing glamorously designed bathrooms in their apartments in keeping with the demand of the upwardly mobile consumer. For him, his bathroom has become a special place in the house. It has become a place where he spends his time relaxing, washing away the stress of work-related tensions, and at the same time detoxing his body. Therefore, he wishes to install all the latest gadgets in the bathroom to pamper and gain an excellent bathing experience. In short, he wants all the accessories he has used on his business visits abroad. Eminent interior designers are saying that consumers are now going for items like carpets, elegant furniture, temperature controlling glamorous bathroom lighting, stylish photo frames and such other high-end accessories for their luxury restrooms. Now, even LCD televisions are making their way to the bathroom thus making them larger in size. 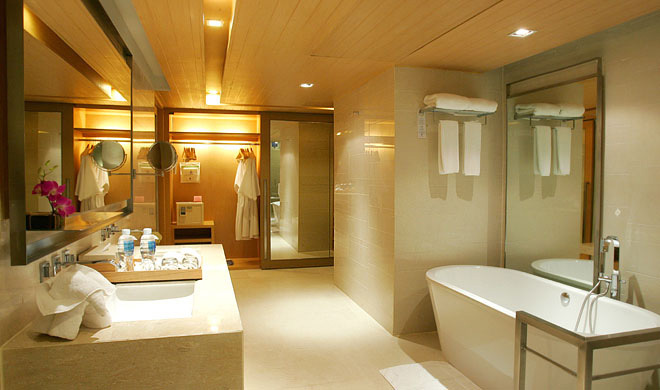 What is more, some bathrooms are also Wi-Fi enabled so as to give the user a technology-filled experience. Things like chandeliers and furniture items are also being added to bathrooms to make them glamorous. As if this is not enough, fittings are also getting technically perceptive. 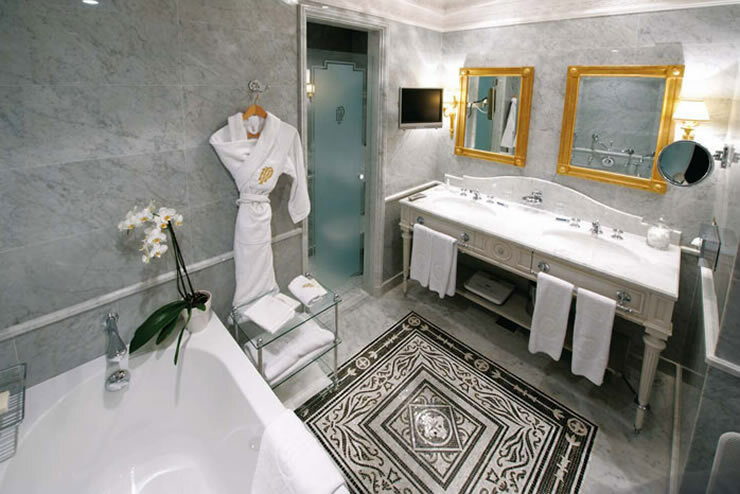 We have eco-friendly rain showers, mixers studded with precious stones and acrylic Jacuzzi bathtubs. However, just stocking all these items in your bathroom will not make it glamorous. One needs to match the color of the bathtub with that of the walls. Either both can be of the same color or of contrasting colors. Then concentrate on the bath linen, the tiles, and the washbasin. At such times, please be aware that color therapy works everywhere. 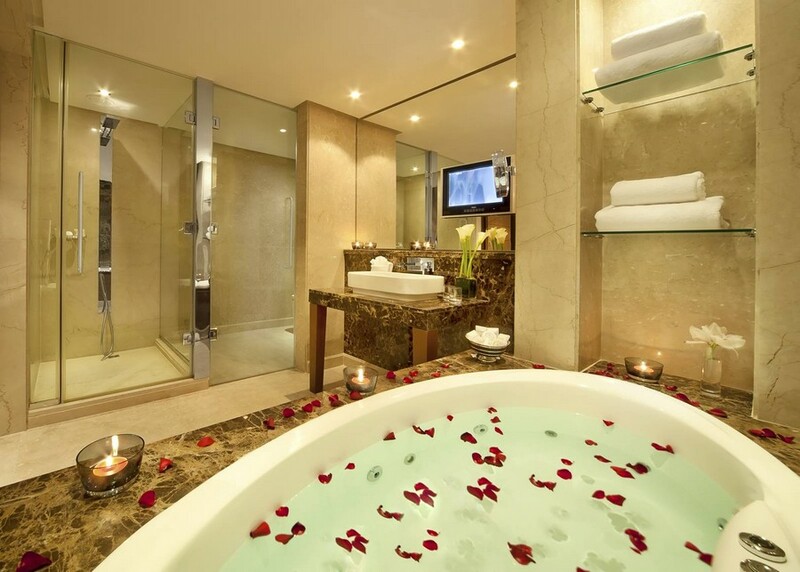 The bathroom can also be Wi-Fi enabled and fit with a wireless phone. One can also stock up some spa essentials like essential oils, face scrubs, aromatherapy oils, etc. That leaves out a sauna. A hot shower can substitute this. Doing all this will make the bathroom so glamorous that it will be difficult for the user to stay away from it. 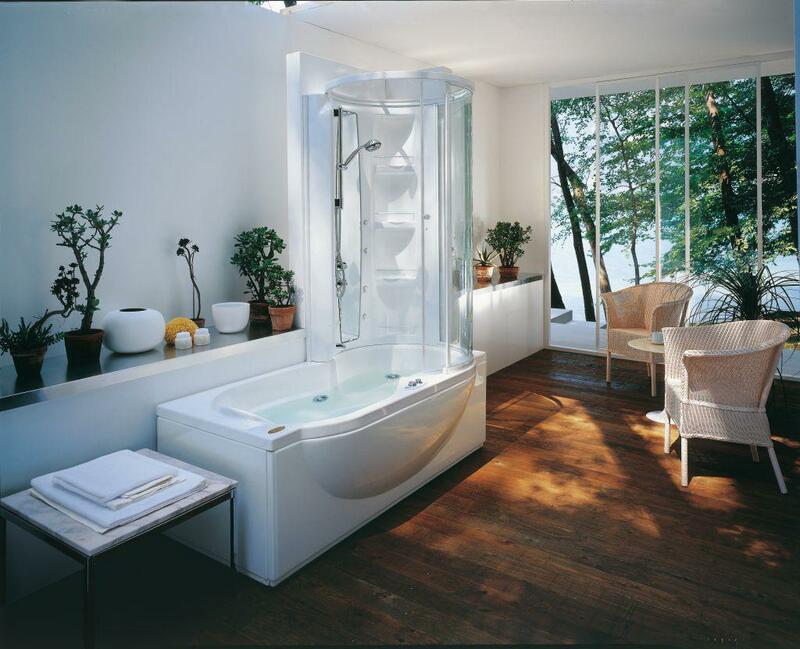 By providing luxury bathrooms to their customers, builders are providing them with what they require. However, it is worth mentioning here that one need not break the bank in order to glamorize the bathroom as one can easily get a luxurious bathroom that is fuss-free. One only needs to provide those things that are required as per one’s lifestyle and leave out the rest.